As I explained above, the Florentine Freesia Body Lotion is a fruity-floral scented, hydrating body lotion. 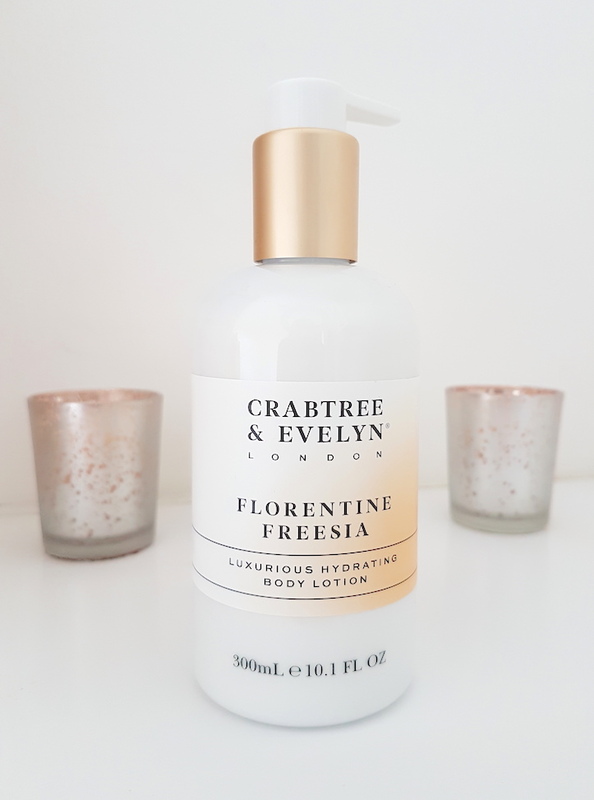 In addition to its beautiful scent, it also contains an exclusive Trio Oil Blend that is packed full of vitamins, anti-oxidants and omega fatty acids to really smooth and soften the skin. It is free of propylene glycol, mineral oils, colours, parabens and phthlates. I've been lathering this on post-bath and the first thing you notice is that beautiful smell. Honestly, it smells so divine. It smells luxurious, so applying it is definitely a treat for the senses. In addition to the smell, the thing I really love about this Body Lotion is how lightweight it is. During the warmer months it can feel like too much to douse yourself in a thick cream/butter, but this lotion is perfect. Even though it is lightweight, it doesn't slack with the hydration that it provides. 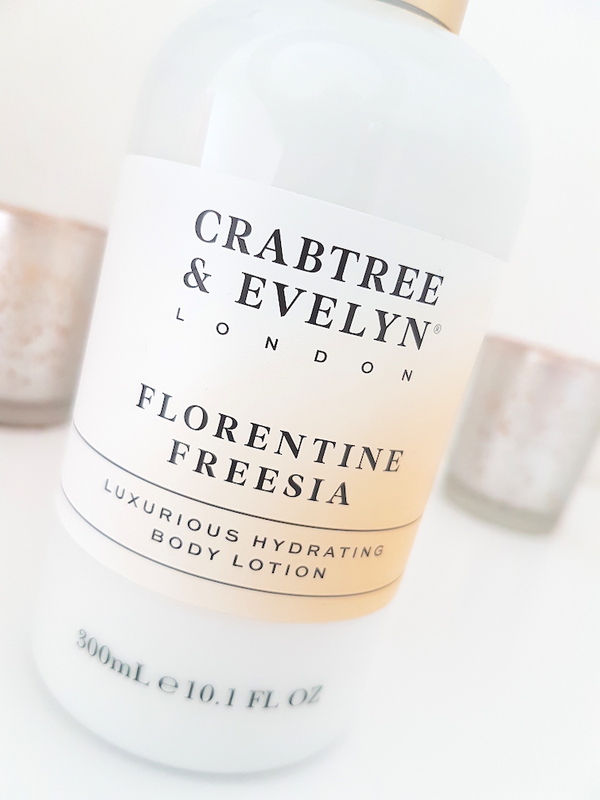 It is a fantastic Body Lotion for summer that really keeps the skin soft and hydrated. On the flipside, if you have particularly dry skin, I can't imagine that this would be strong enough for the winter months. However, like I said, they do have a Body Cream available too which I would imagine is more efficient for the colder days (but admittedly I haven't yet tried it). Jumping back to the smell though before I wrap it up, it is one of those scents that is perfect for layering. If you're a fragrance fan, this could layer well with a floral or fruity-floral perfume to create a combo that screams spring/summer. And now it's the men's turn! As I mentioned right at the start of this post, I was hoping to review this cologne in time for Father's Day. However, it only arrived the day before Father's Day, so I didn't have enough time to review it. If you follow me on Instagram though then you may have seen it do a sneaky feature! If you have tried Crabtree & Evelyn scents in the past, you may be aware of Nomad, a discontinued men's cologne that was available. 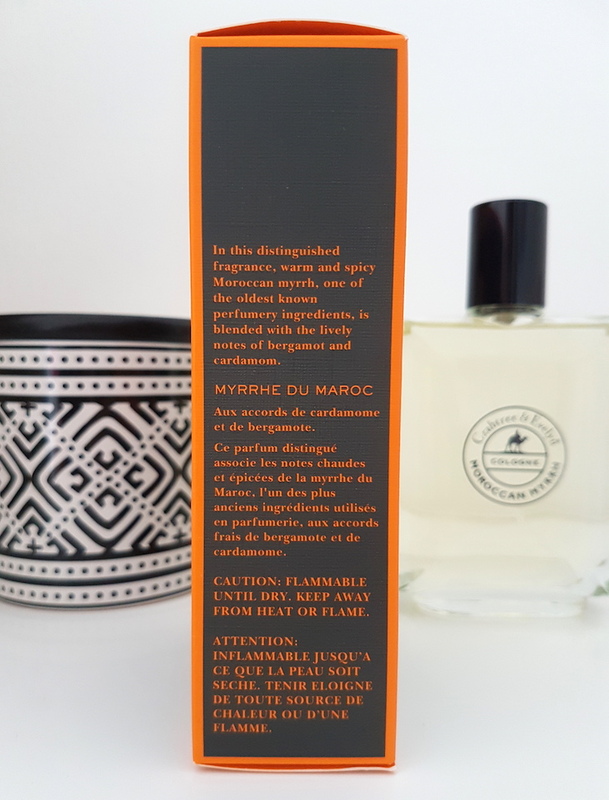 Moroccan Myrrh is the same as Nomad, but in new packaging. If you are familiar with it or a fan of it, then you will find comfort in Moroccan Myrrh. For those that don't know the scent, I'll break it down. It has top notes of petitgrain, bergamot and black pepper, a heart that boasts lavender, geranium and cardamom and a base that rounds it off with myrrh, guaiac wood and amber. These notes are beautifully blended into a spicy yet fresh scent that finds its feet in the heat. It's a great summer-type scent that really comes alive with the summer ambience. Upon first spray it is primarily a peppery bergamot that I can smell, but this settles quickly into a zesty, spicy floral that is both fun yet also quite calming and grown up. I find that it has a longevity of only a few hours, but that's to be expected at the cologne concentration. Thankfully as it comes in a large 100ml bottle, re-spraying is an option as you go about your day. Sillage wise, I find that it radiates nicely, but not too far. You can smell it upon yourself, but it doesn't fill a room. Overall, this is a great scent that I think a lot of guys will enjoy. 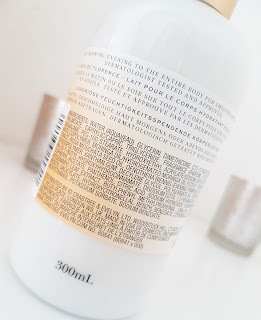 I know it would have certainly got the seal of approval from my Dad who recently passed away, but who, as you will know if you're a regular reader of the blog, was a huge fragrance fan along with myself. His favourite types of scents were spicy, smokey and woody ones, his particular favourites being 2 by Comme des Garcons and Givenchy's Gentlemen Only Intense. That gives you some type of an "if you enjoy this you may also enjoy this" type of level. Both of these items can be purchased at Crabtree & Evelyn. 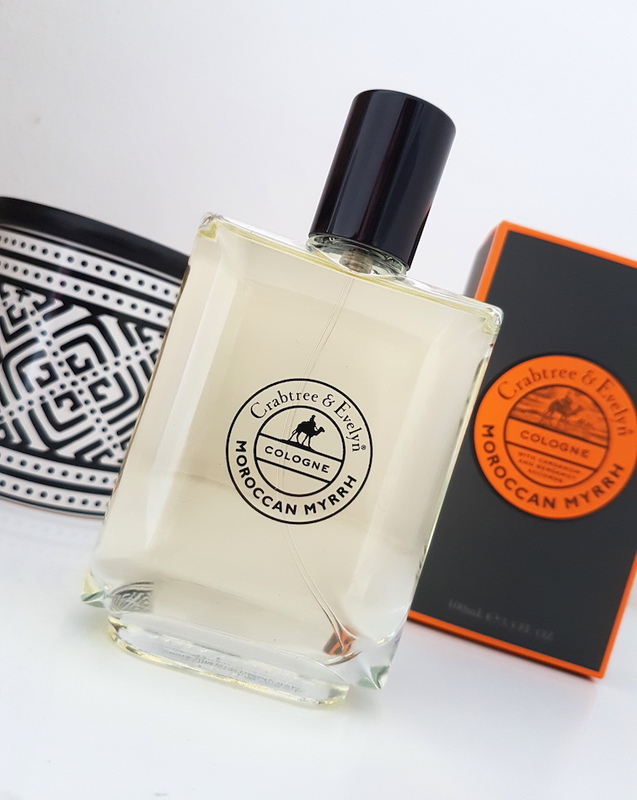 What are your thoughts on the Florentine Freesia Body Lotion and the Moroccan Myrhh Cologne? What's your favourite Crabtree & Evelyn product?